Teeth whitening is the most common cosmetic dentistry procedure. The procedure of teeth whitening is a highly effective one for the patient. The procedure helps to renew the natural colour of the teeth, which are perhaps stained or discoloured through smoking and drinking coffee or red wine. The tooth whitening procedure is non invasive and does not remove the enamel on the tooth's surface. The procedure involves moulds of the patient's teeth being taken to create trays, similar to a gum shield, which are placed over the teeth. A small amount of whitening gel is placed on the tray which is then put over the teeth. This would be left in for 2-3 hours, however, some whitening treatments can be left on for 8 hours. Results normally last for up to 3 years. 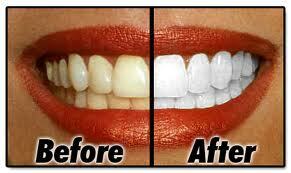 Dental FX provide an excellent service offering teeth whitening in Glasgow.